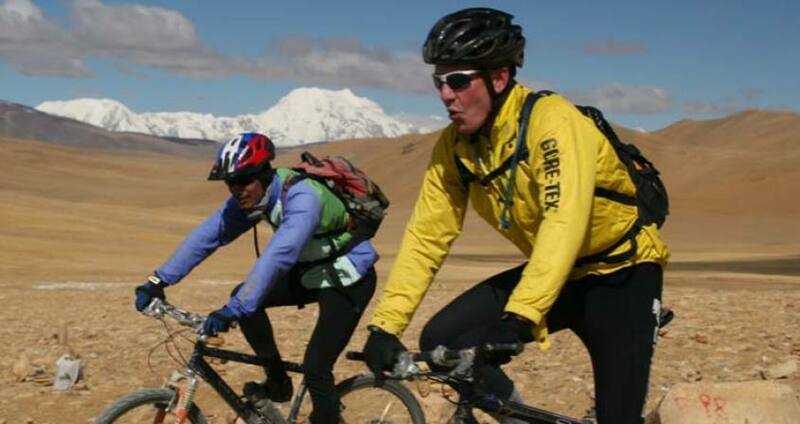 Lhasa Kathmandu Mountain Bike Tour with Pink Mountain Treks and Expedition is one of the worth adventure in life. It's the highest road in the world, averaging an altitude of 4,500 metres above sea level as it traverses the Tibetan plateau. Secondly, the route boasts the world's longest continuous descent, which of course means that you'll face the world's longest uphill if you are heading in the opposite direction. Best of all to mountain bikers is the sense of isolation and awe-inspiring scenery. They must also face an onslaught of zigzagging mountain passes and endure a constant battle against breathlessness. Expect to cover 70 to 100 km per day. Be sure you have clothes for all conditions: remember that you are above the clouds and it can be very sunny and bright. It can also snow, rain, hail and become very, very cold at the drop of a hat. In fact, it's all character-building stuff and after one week you'll be more resilient to the harsh conditions. Children carry baskets of yak dung home. The dung will be used as insulation on the walls of their house and, come winter, will be burnt as fuel. Yaks are everything out here: yak skin tents and canoes; yak milk, butter, curd and cheese; yak steak; yak wool sweaters; even yak urine as a medicinal remedy for exposed cuts. After eight or nine days and 600 km of pedaling, you should find yourself around the town of Pelbar and the entrance to the Everest National Park. It's here that you will probably leave Highway 318 for a few days and head south to Everest Base Camp. By now you are carrying at least 50 per cent of the following ailments: knee ligament damage, saddle rash, backache, a very sore backside, cramps in your feet, a runny nose, diarrhea, constipation, flatulence, headaches, nausea, dry eyes, a dusty cough, insomnia, lethargy, sunburn, frostbite, altitude sickness - not to mention any injuries you might have incurred from falling off your bike! Fear not! For all these maladies combined cannot stop you now. Behold the Pang La, the mountain pass which rises before you! You grit your teeth, you meditate, you turn 'Eye of the Tiger' up to 10 on your Walkman; you do whatever you have to do to get into the groove, to get that Lance Armstrong vibe and hunker down for the next four or five hours to tackle this monster. Conquering the Pang La is God's fee for allowing you to witness one of the planet's most stupefying vistas. After no less than 42 switchbacks and a rise of 900m in altitude, with your weary thighs bursting at the seams, you finally reach the cairn at the top of the pass, adorned in colourful Buddhist prayer flags. Suddenly the curtain is pulled back to reveal the row of Himalayan peaks you have been chasing. The Mount Everest! You are now feeling physically and mentally ragged. Those last four or five hairpin bends were accomplished on willpower alone. You might well find an emotional tear freezing on your weather-beaten cheek as you finally dismount and gaze in awe at the white bowling pins before you almost close enough to touch: Makalu (8463m); Lhotse (8516m); Jachonggangri (7985m); Cho Oyu (8210m); Shisapangma (8012m); and the one that Tibetans have for centuries been calling Chomolungma ("Mother Goddess of the World"), at 8850 meters above sea level - Mount Everest. Day 03:Fly to Lhasa from Kathmandu. Day 04:Full day guided sightseeing in Lhasa. Day 06:Start the Bike Tour. Camp after 86 km. Day 07:Kamba La Pass. Camp after 56 km. Day 08:Continue and camp before Karo pass. Day 09:Karo Pass to Gyangtse. Gyantse 86 kms. Day 10:Gyangtse to Shigatse. Shigatse 106 kms. Day 11:Continue and camp after 75 km. Day 12:Continue and camp after Lhatse 95 km. Day 13:Continue. Shegar 80 kms. Day 14:Continue. Pang La Pass. Camp after 65 km. Day 15:Continue. Rongbuk. Camp 35 kms. Day 16:Go to Everest Base Camp. Camp at Rongbuk. Day 18:Continue and camp after 75 km. Day 19:Lalung-Leh Pass. Hotel Zhangmu 117kms. Day 20:Continue from Zhangmu and cross the border. Overnight Resort at Dhulikhel. Day 21:Morning drive to Kathmandu. 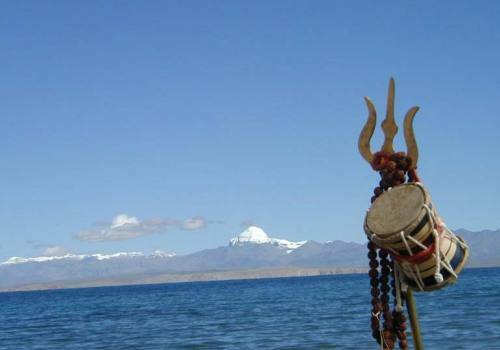 Day 3Fly to Lhasa from Kathmandu. Day 4Full day guided sightseeing in Lhasa. Day 6Start the Bike Tour. Camp after 86 km. Day 7Kamba La Pass. Camp after 56 km. Day 8Continue and camp before Karo pass. Day 9Karo Pass to Gyangtse. Gyantse 86 kms. Day 10Gyangtse to Shigatse. Shigatse 106 kms. Day 11Continue and camp after 75 km. Day 12Continue and camp after Lhatse 95 km. Day 13Continue. Shegar 80 kms. Day 14Continue. Pang La Pass. Camp after 65 km. Day 15Continue. Rongbuk. Camp 35 kms. Day 16Go to Everest Base Camp. Camp at Rongbuk. Day 18Continue and camp after 75 km. Day 19Lalung-Leh Pass. Hotel Zhangmu 117kms. Day 20Continue from Zhangmu and cross the border. Overnight Resort at Dhulikhel. Day 21Morning drive to Kathmandu. Day 22KathmanduAfter breakfast, proceed to sightseeing tour to heritage sites of Bhaktapur and Patan, the most medieval-look town in Kathmandu valley, and visit its Durbar Square.In the afternoon, free in Thamel, tourists favorite shopping area. Day 23Fly OutYou will be transfer to airport by representative of Pink Mountain Treks and Expedition for your flight to your destination before three hour of your flight schedule.